As a homeowner, you know how important it is to have your property just how you like it. Sometimes that means hiring a tree removal or tree care company to handle the work for you. 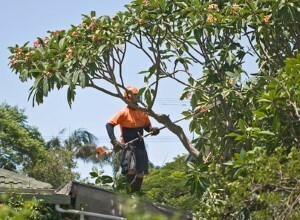 There are many things a tree removal company can do to keep your property in great shape. Land can be cleared, diseases identified and treated by a certified arborist, and trees trimmed or removed. You may need land grading, stump grinding, bush hog mowing, deep root fertilization, tree feeding, or pesticide spraying. If you are a homeowner who has tree stumps left over from previous tree removal, you know how annoying they can be when you try to mow the lawn or walk through the area. Stumps can be hazardous for your lawn equipment and for your safety. You are probably also familiar with the never ending problem of new shooters growing from the stump no matter how many times you keep cutting them back. Stumps are annoying and dangerous, so why not call us for a stump grinding estimate? We do a thorough job including root chasing and grinding. You'll be surprised at how reasonable our rates are and how great it will be to have that old stump ground up. You'll never worry again about a walking hazard, trimming off new branches, or about running it over with the mower. Do you have a home in Short Pump with trees that need to be removed? Whether you have a whole lot to clear or just one tree, our Short Pump tree removal company is ready to handle the project for you. C.S. Flournoy will properly and safely remove your tree or clear your land, making sure the debris is removed and cleaned up afterward. We have the state of the art equipment and skill to tackle any job you need doing. If you are looking for a Short Pump Tree Removal Company then please call 804-264-1000 or complete our online request form.